Tag is the latest addition to Kasaan. He is a PHOENIX son out of a gorgeous Granite and Bugs daughter... FREEDOM ~~ Ch. Kasaan's Alaskan Fortune. Who is a litter sister to LILLY~~Ch. 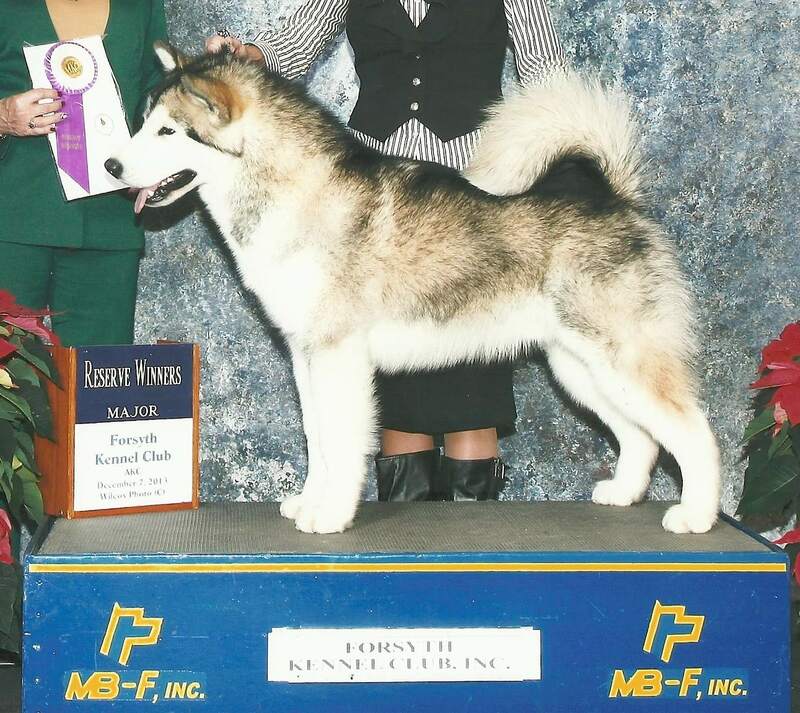 Kasaan's The Fortune Gets Sweeter, and LINDSAY ~~ BIS, Euro, Hungarian Ch. Kasaan's Fortune n Fame. He is co bred by myself and Holly Donovan. Tag exudes in breed type and has his father's HUGE feet and bone. Small thick ears and the darkest eyes I have seen since Mr. Singleton!! And has the sweetest temperament. He LOVES the show ring and I see him as the next male Special of Kasaan!! He has already proven himself in the show ring. RWD from the puppy class at the Southern Area Specialty and just recently has picked up 3 points towards his coveted title Champion. From the puppy dog class!! He is a throw back to his great grand sire... DESTRY and with the pedigree he has, I see nothing but a fortunate future ahead of him.TAG is CERFED clear, PN cleared and prelimed good on hips.